More than 70 posters made by illustrator and designer David Plunkert have recently been collected by The Library of Congress in Washington DC. 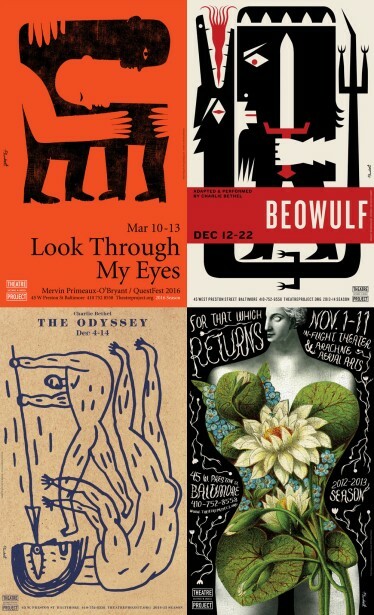 The collection consists of posters made for Baltimore’s Theatre Project (all the way from 2004 until present day), The Maryland Institute of Art, indie rock band “They Might Be Giants”, and more. Displaying a variety of both illustration styles and print production techniques, the collection as a whole showcases David’s wide array of artistic skills. If you’re interested in viewing any of the posters selected by the Library of Congress, a research-based request can be made on their official website.